This is one of my favorite necklaces EV-AH! It took a monstrously long time to make it, mostly because I wasn't sure what components I was going to need. 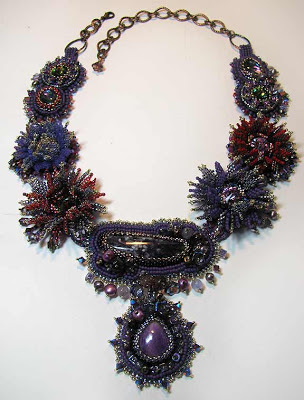 It was one of the bead embroidered necklace projects that moved me in the direction of working with components rather than as a solid collar style in the first place. 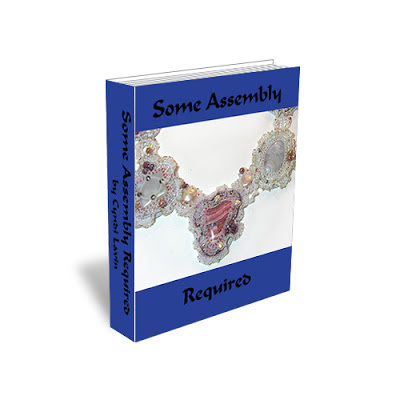 My e-book Some Assembly Required follows that journey, featuring another piece. If you've never tried making a large necklace without a solid foundation and a plan first, maybe it's time! The original tutorial for Blossoms of the Moonlit Waves is at the link. A few more things to amuse you! Do you need some more ideas? 12 Days of Beadsmas at Jesse James Beads!